Description: Go, go, go! Go Agility Racer! Race across the sands in an armor that's built for speed and built to last. Note: Description is a parody of Speed Racer. 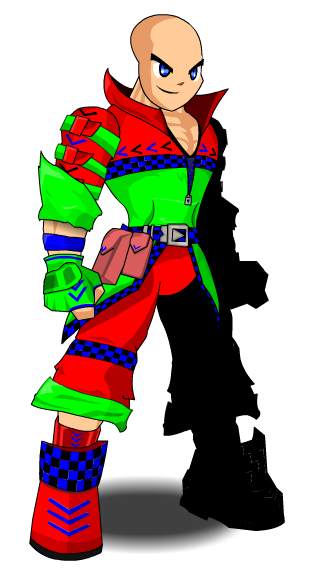 Buckles on shoulder and the collar, shoes, pouches are Color Custom to Base Color. Chest, trim on leg, arm, and gloves are Color Custom to Trim Color. Arrows, wristband, and checkered areas are Color Custom to Accessory Color. 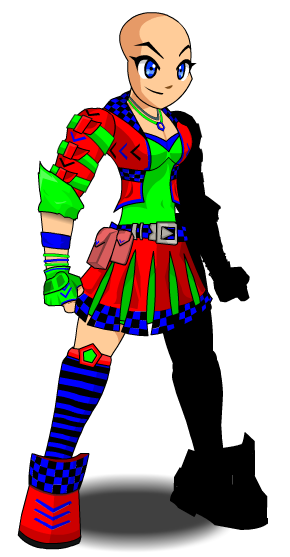 Jacket, skirt, shoes, buckles on shoulder and sock's armlet are Color Custom to Base Color. Shirt, gloves, skirt stripes and shoulder details are Color Custom to Trim Color. Collar, socks, wristband, arrows and checkered areas are Color Custom to Accessory Color. Thanks to Destinygirl109, OmfgRly, rickyb20 and Xia.